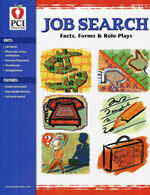 Designed to help high school and adult students succeed before, during, and after the job search. 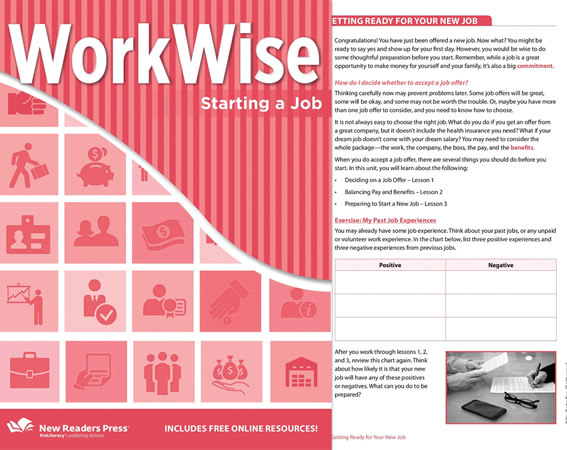 Soft Skills: The first three books in the WorkWise series teach key job readiness concepts and provide meaningful exercises to boost students' confidence and get them job-ready. 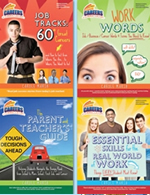 Academic Skills: The last three books in the WorkWise series help learners acquire the academic skills needed in today' s workforce. Reading at Work helps learners develop critical thinking, problem solving, and decision making skills. Writing at Work helps learners develop their writing skills to be successful writers at work. 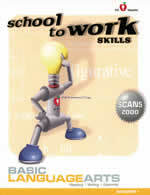 Math at Work develops learners' basic math skills with on-the-job problem-solving math strategies. WorkWise is sold only in packages of 10.